Stop searching for the right trucking company that truly values you - you’ve found it. Get better pay, respect, and home time right now. Take the first step and apply today to start a driving career at Godfrey Trucking. What driver type best represents you? GodfreyTrucking will use a third party agency to conduct background checks. The background check will consist of a consumer report(s) and/or investigative consumer report(s) in connection with an application for employment. In all circumstances, background information will be reviewed and employment decisions will be based on an individual assessment. Full Disclosure regarding your rights under federal and state law regarding background checks will be provided to you during the application process, prior to any action by GodfreyTrucking. It is a DOT requirement for applicants to provide their most recent 10 years of work history. If you are unable to complete the entire 10 years at this time, provide the most recent 3 years of work history. You must provide the most recent 3 years of work history. 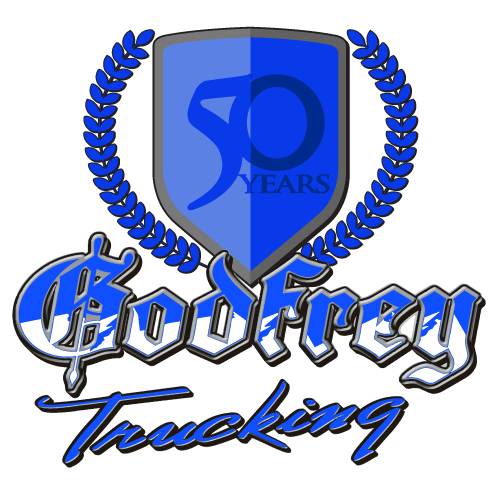 As part of the hiring process at GODFREY TRUCKING, you will need to complete this background questionnaire. Before you may begin the background questionnaire, you need to electronically sign Disclosure, Acknowledgment and Authorization Forms ("Authorization Form") to authorize our background screening agency, Peopletrail (http://www.peopletrail.com), to verify the information you provide to us and conduct a background check on you. To ensure that your Authorization Form is not altered after its submission, Peopletrail uses secure encryption technology. In addition, to ensure that a signature is unique and to safeguard you against unauthorized use of your name, your IP address has been recorded and will be stored along with your electronic signature. Also, please note that Peopletrail requires applicants wishing to submit their Authorization Form electronically to include their social security number. All of your information will be encrypted and sent over secure websites. At the end of this process, you will have the opportunity to print your completed Authorization Form. If you do not wish to complete the Authorization Form online, you may print it out and send it to GODFREY TRUCKING. This may delay processing. I consent to signing this form electronically. I understand that Peopletrail uses computer technology to ensure that my Authorization Form is not altered after its submission. I agree to allow Peopletrail to monitor my electronic Authorization Form in this way. Para informacion en Español, visite www.consumerfinance.gov/learnmore o escribe a la Consumer Financial Protection Bureau, 1700 G Street N.W., Washington, DC 20552. The federal Fair Credit Reporting Act (FCRA) promotes the accuracy, fairness, and privacy of information in the files of consumer reporting agencies. There are many types of consumer reporting agencies, including credit bureaus and specialty agencies (such as agencies that sell information about check writing histories, medical records, and rental history records). Here is a summary of your major rights under the FCRA. For more information, including information about additional rights, go to www.consumerfinance.gov or write to: Consumer Financial Protection Bureau, 1700 G Street N.W., Washington, DC 20552. Access to your file is limited.A consumer reporting agency may provide information about you only to people with a valid need - usually to consider an application with a creditor, insurer, employer, landlord, or other business. The FCRA specifies those with a valid need for access. You must give your consent for reports to be provided to employers.A consumer reporting agency may not give out information about you to your employer, or a potential employer, without your written consent given to the employer. 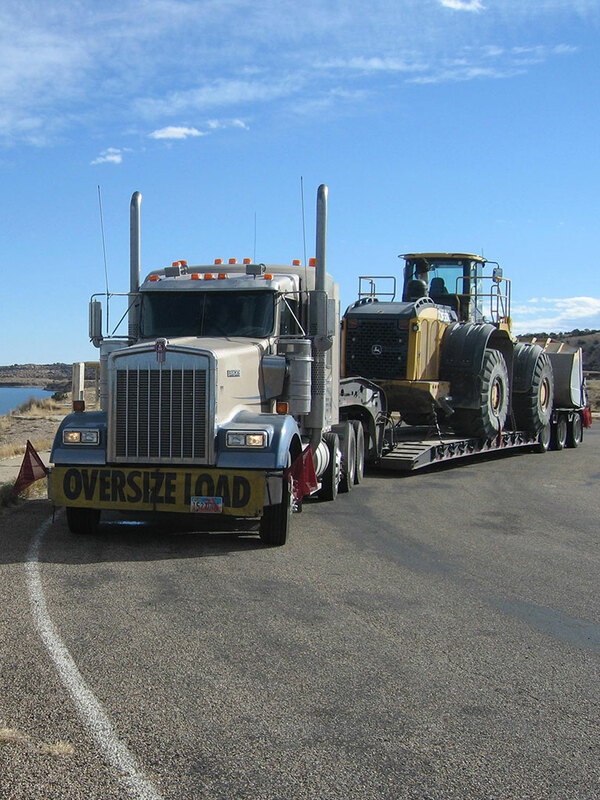 Written consent generally is not required in the trucking industry. For more information, go to www.consumerfinance.gov/learnmore. You may limit "prescreened" offers of credit and insurance you get based on information in your credit report.Unsolicited "prescreened" offers for credit and insurance must include a toll-free phone number you can call if you choose to remove your name and address from the lists these offers are based on. You may opt-out with the nationwide credit bureaus at 1-888-5-OPTOUT (1-888-567-8688). You may seek damages from violators.. If a consumer reporting agency, or, in some cases, a user of consumer reports or a furnisher of information to a consumer reporting agency violates the FCRA, you may be able to sue in state or federal court. Identity theft victims and active duty military personnel have additional rights. For more information, www.consumerfinance.gov/learnmore. I acknowledge receipt of the Summary of Your Rights Under the Fair Credit Reporting Act (FCRA) and certify that I have read and understand this document. I acknowledge receipt of the NOTICE REGARDING BACKGROUND CHECKS PURSUANT TO CALIFORNIA LAW and certify that I have read and understand this document. I acknowledge receipt of ARTICLE 23-A OF NEW YORK CORRECTION LAW and certify that I have read and understand this document. 752. Unfair discrimination against persons previously convicted of one or more criminal offenses prohibited. 753. Factors to be considered concerning a previous criminal conviction; presumption. §755. Enforcement. 1. In relation to actions by public agencies, the provisions of this article shall be enforceable by a proceeding brought pursuant to article seventy-eight of the civil practice law and rules. 2. In relation to actions by private employers, the provisions of this article shall be enforceable by the division of human rights pursuant to the powers and procedures set forth in article fifteen of the executive law, and, concurrently, by the New York city commission on human rights. Thus, you may be the subject of a "consumer report" and/or an "investigative consumer report" which may include information about your character, general reputation, personal characteristics, and/or mode of living. These reports may be obtained at any time after receipt of your authorization and, if you are hired, throughout your employment. These reports may include, but are not limited to, checks regarding your criminal history, social security trace, employment and education references, driving history, professional licenses and credentials. Credit history will be requested only in accordance with applicable law. These reports may contain information regarding your use of social media, and other publicly accessible information. Social media includes, but is not limited to, social networking websites (i.e., Facebook and others), professional networking websites (i.e., LinkedIn and others), blogs, and other online media. You have the right, upon written request made within a reasonable time after receipt of this notice, to ask the Company to disclose the nature and scope of any consumer report. You also may request a copy of that report from the Company. If anyone other than the Agency furnishes an investigative consumer report, the Company will provide relevant contact information within five business days of your request. An "investigative consumer report" is a background report that includes information from personal interviews (except in California, where that term includes background reports with or without personal interviews). Please be advised that the nature and scope of the most common form of investigative consumer report obtained with regard to applicants for employment is an investigation into your education and/or employment history conducted by the Agency via interviews with past employers, neighbors, friends or associates. The scope of this disclosure and authorization is all-encompassing, however, allowing the Company to obtain from any outside organization all manner of consumer reports and investigative consumer reports now and, if you are hired, throughout the course of your employment to the extent permitted by law. As a result, you should carefully consider whether to exercise your right to request disclosure of the nature and scope of any investigative consumer report. You have the right to inspect and promptly receive a copy of any investigative consumer report requested by the Company by contacting the consumer reporting agency identified above directly. You have the right, upon written request to the Agency, to receive a complete and accurate disclosure of the nature and scope of any consumer report. The Agency must make this disclosure within five days of receipt of your request or of the Company's request for the report, whichever is later. You have the right to request whether the Company requested a consumer report and, if so, the Company will give you the name and address of the report's provider if other than the Agency. The Company will provide the disclosure described above concerning its procurement of an investigative consumer report either five days after receiving your request or after requesting the investigative consumer report, whichever is later. You have the right to ask the Company to provide you with a summary of your rights under the Washington Fair Credit Reporting Act. I acknowledge receipt of the DISCLOSURE REGARDING BACKGROUND INVESTIGATION and A SUMMARY OF YOUR RIGHTS UNDER THE FAIR CREDIT REPORTING ACT and certify that I have read and understand both of those documents. I hereby authorize the procurement of "consumer reports" and/or "investigative consumer reports" at any time after receipt of this authorization and, if I am hired, throughout my employment. To this end, I hereby authorize, without reservation, any law enforcement agency, administrator, state or federal agency, institution, school or university (public or private), information service bureau, employer, or insurance company to furnish any and all background information requested by Peopletrail, 65 E Wadsworth Park Drive, Suite 102, Draper, UT 84020, Phone: 801-307-4100 / 866-223-8822, Fax: 888-759-7037 / 888-759-7037, http://www.peopletrail.com, another outside organization acting on behalf of the Company, and/or the Company itself. I authorize these agencies to provide you with consumer and investigative consumer reports. I agree that a facsimile ("fax"), electronic or photographic copy of this Authorization shall be as valid as the original. I acknowledge I may request a hard copy of this Disclosure and Authorization form after agreeing to the background check electronically by calling Peopletrail at Phone: 801-307-4100 / 866-223-8822, Fax: 888-759- 7037 / 888-759-7037. I acknowledge receipt of this Disclosure and certify that I have read and understand this document. Please check this box if you would like to receive from the Agency a copy of any report furnished by the Agency to the Company pursuant to your authorization below. I hereby authorize Godfrey Trucking and its representatives to investigate the responses contained in this application and specifically, to obtain information concerning my motor vehicle operating record, criminal convictions, employment history, educational history, and except as may be limited by applicable law, other matters reasonably related to my employment candidacy. In addition, I hereby release the Nagle Companies, my current and former employers, and all other persons, corporations, partnerships and associations from any and all claims, demands or liabilities arising out of or in any way related to such investigation or disclosure. I hereby authorize Godfrey Trucking and its representatives to preform the DOT Safety Performance History Record Request. I understand that any offer of employment is contingent on my passing a pre-employment controlled substances test, a pre-employment physical examination, and the background checks referred to above. I also understand, that if hired, I voluntarily consent to undergo such periodic physical exams and substance testing as required to maintain compliance with all regulatory agencies governing the transportation industry and company policy. I further understand that refusal to submit to a substance screen will be considered a voluntary resignation of employment. I understand that nothing contained in the application or conveyed to me during any interview which may be granted is intended to create an employment contract, implied, or explicit, between me and the Nagle Companies. I hereby certify that I have not knowingly withheld any information that might adversely affect my chances for employment and that the answers given by me are true and correct to the best of my knowledge. I further certify that I, the undersigned applicant, have personally completed this application. I understand that any omission or misstatement on this application or on any documents used to secure employment shall be grounds for rejection of this application or for immediate discharge if I am employed, regardless of the time elapsed before discovery.